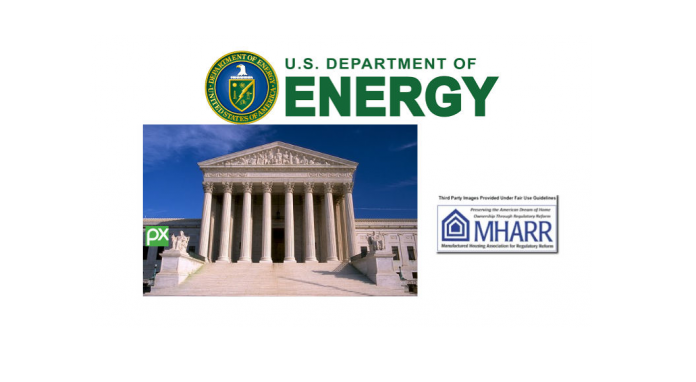 The revival of a previously “inactive” energy rule for manufactured homes by the U.S. Department of Energy (DOE) may trigger legal action by MHARR on behalf of smaller HUD Code industry businesses. As MHARR reported on December 18, 2017, the baseless, contrived and excessively-costly DOE-proposed manufactured housing “energy” rule, developed as part of an illegitimate, so-called “negotiated rulemaking” process — urged by the Manufactured Housing Institute (MHI) and “energy” special interests, as shown by documents released by DOE to MHARR under the Freedom of Information Act — was designated an “inactive” rule by DOE in the Fall 2017 Federal Semi-Annual Regulatory Agenda (SRA). 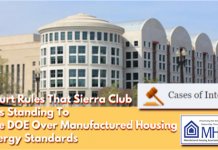 That proposed rule, however, possibly in response to pending litigation filed by the Sierra Club in December 2017 to force DOE to adopt a final manufactured housing rule, has now re-appeared in the Spring 2018 SRA, with a notation indicating that a “supplemental” Notice of Proposed Rulemaking (NPRM) is being targeted for publication by DOE by August 2018. (See copy attached). While there is no information available at present as to what the “supplemental” NPRM will propose — or may change from the initial NPRM published by the Obama Administration in June 2016 — MHARR (unlike MHI, which voted in favor of the proposed rule as part of the illegitimate “negotiated” rulemaking process) has consistently and strongly opposed this proposed rule, which would needlessly explode the purchase price of manufactured housing (by $6,000.00, or more, for a double-section home) and effectively force hundreds-of-thousands of potential lower and moderate-income HUD Code purchasers out of the manufactured housing market, based on research conducted by the National Association of Home Builders (NAHB). 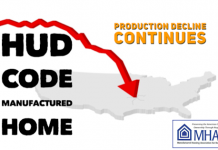 Moreover, even for consumers who are able to remain in the HUD Code market, the contrived DOE “cost-benefit” assessment for the 2016 proposed rule, purportedly showing “benefits” for such remaining consumers, has been completely decimated by subsequent actions of the Trump Administration, which: (1) disavowed and repealed the Obama Administration’s invalid “Social Cost of Carbon” (SCC) construct, which was used by DOE to inflate the alleged benefits of the 2016 proposed rule; and (2) withdrew the United States from the “Paris Climate Accord,” which formed part of the policy basis for the DOE proposed rule. 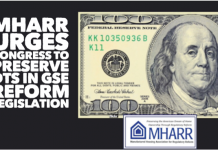 Consequently, unless the forthcoming “supplemental” NPRM substantially modifies and/or withdraws objectionable, unnecessary, and unnecessarily-costly elements of the initial DOE proposed rule, MHARR may have no alternative but to consider legal action to enjoin the enforcement of any resulting “final” rule. Prior to any such court action, however, MHARR (and the industry) will have a further opportunity to comment and take other administrative action, as warranted, with respect to the “supplemental” energy NPRM. MHARR, accordingly, will continue to monitor this matter very closely and will take further and additional steps as it deems appropriate. 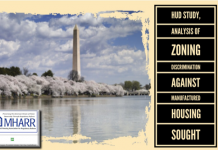 In other matters reflected in the Spring 2018 SRA, HUD announced three regulatory actions affecting manufactured housing. 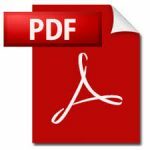 First, HUD has withdrawn – effective April 4, 2018 – a pending “Third Set” of amended HUD Code standards, including recommended standards concerning “carbon monoxide detection, stairways, fire safety considerations for attached garages and duplexes.” Presumably, this action was undertaken pursuant to HUD’s current “top-to-bottom” review of all existing and pending standards, and will be subject to further consideration and action as determined by that review. 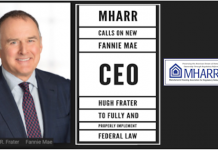 Meanwhile, HUD has reactivated – on a long-term basis — two other manufactured housing rulemaking proceedings that had previously been suspended under the Trump Administration’s January 2017 regulatory freeze order. These are: (1) an “interim final rule” to amend HUD’s formaldehyde emissions standards based on the new formaldehyde standards adopted by the U.S. Environmental Protection Agency (EPA); and (2) a final rule on amendments to the HUD Code’s regulatory exemption for recreational vehicles. 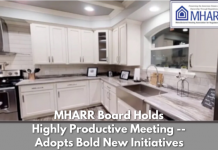 Both of these actions are slated for action by April 2019 and will be addressed further by MHARR on an administrative basis as warranted.